One kid dressed as Harry Potter went to Penn State looking for the Hogwarts Express. 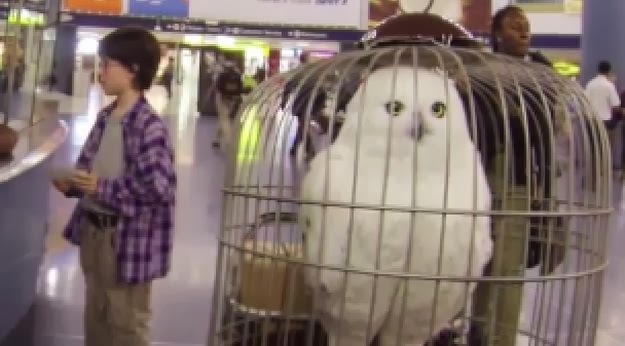 First Harry strolled into Penn Station with his luggage and fake Hedwig. He asked people where platform 9 3/4 is. And onlookers took pictures because it was obviously the best thing they’ve ever witnessed. This girl literally couldn’t handle it. And he even ran into his BFF Ron Weasley. He kept trying to get help, but still no luck. He then asked this man if it was necessary to check his bags and/or his owl. Harry stopped by the stand to get Hedwig a pretzel. And then continued asking strangers for directions, for which one woman told him to go between platforms 9 and 10. And he went toward it at a bit of a run and sadly failed. Harry went to guest services for advice. And then this guy realized he was being tricked. But laughed because it was funny and adorable. 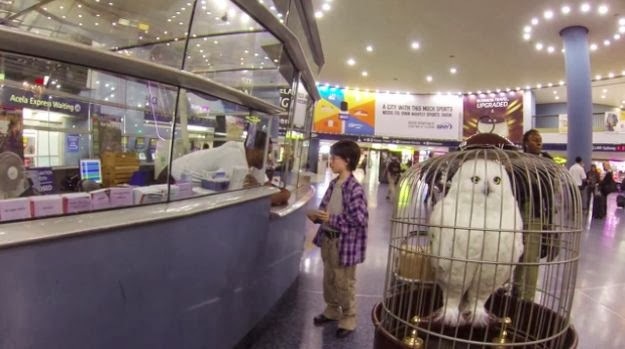 0 responses to "Harry Potter at Penn Station (14 gifs)"